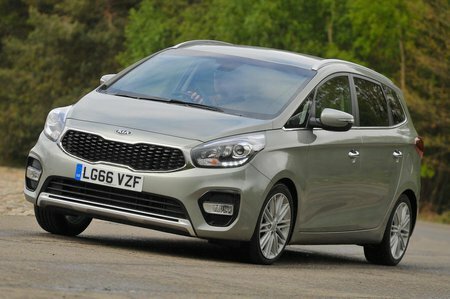 Kia Carens 1.7 CRDi ISG  3 5dr 2019 Review | What Car? What Car? will save you at least £3,205, but our approved dealers could save you even more. 3 cars add a reversing camera, heated leather seats to 2 trim, but we’d don’t think it’s worth the price hike. The diesels make a better choice than the petrol, because they have more pull low down - perfect for shifting people and luggage. Company drivers will want the lower powered version for its better CO2 emissions, but everyone else should choose the gutsier 139bhp model.